Packaging is one integral part of any industry be it online or offline. This is one thing which definitely can’t be ignored as it is only after legitimate packing that you can transfer your products and make the available for consumption in large scale markets. Packaging has to be done neatly as well as effectively to make sure that the quality of product you produce is intact and is unhampered with at any stage of supply. 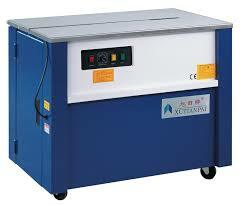 Therefore in order to ensure such efficient packing, you need automatic packing machine at your disposal. These packing automatically do pack the required good for you in tight packages and hence make them secure and easy to transport. These pouches packing machines need to be set to the task, and it will in no time help you with the packaging of your entire goods. 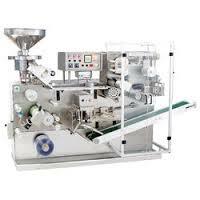 Supertech Packaging is one renowned pouch packing machine manufacturer in India, who have helped numerous industries with their packaging needs. With our top quality machinery as well as packaging accessories we do help numerous market sectors efficiently pack their goods and hence ensure that they are totally safe and secure for customers to use. These packaging machines are an affordable choice for both small to mid-scale businesses and will help you save hours of man work as well as cost in getting it done manually. 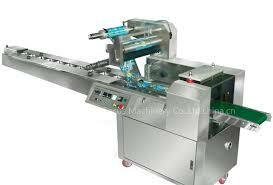 We deal in all kinds of packaging machinery including the FFS packaging machine, pneumatic packaging machine, etc. 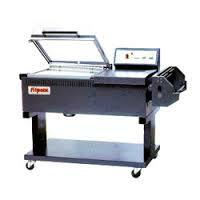 So not only you get to save the time and money by installing these pouch packing machine but also do get a product which is completely safe to use and possess no threats to any of your workers. So, don’t wait for order a unit for you now. 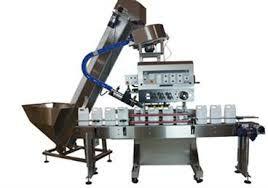 Supertech Packaging is lading pouch packing machine manufacturer, suppliers, dealer and importer in India. We are also supplier of pouch packing machine to Global World especially in African Countries, South Asia & Middle East Countries. 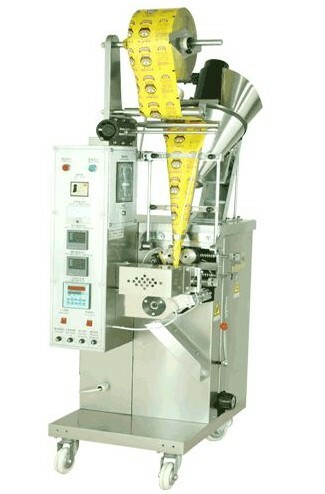 We Are pouch packing machine manufacturer of different type of packaging machine for different application such as Vertical Pouch Packing Machine, Collar Type Packing Machines, Pouch Filling Machine, Liquid Pouch Filling Machine, Pneumatic Pouch Packing Machine, Multitrack Pouch Packing Machine, Auger Base FFS Pouch Packing Machine, Mechanical Impulse Type form Fill and Seal Packing Machine, Wrapping Machine, Continues Band sealing Machine and Automatic Strapping Machine. 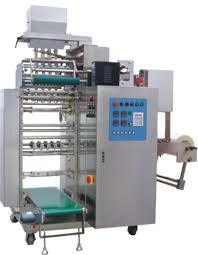 Pouch Packing Machines used in different application of Packaging such as Automatic Packing Machine, Water Pouch Packing Machine, Milk Pouch Packing Machine, Bag Packing Machine, Oil Packing Machine, Sampoo Packing Machine, Supari Pouch Packing Machine, Powder Packing Machine, Tea Packing Machine, Box Packing Machine, Water Glass Packing Machine, Flour Packing Machine, Sugar Packing Machine, Food Packing Machine, Besan Packing Machine, Granules Packing Machine, Kurkure Packing Machines, Masala Packing Machines and Namkeen Packing Machines. 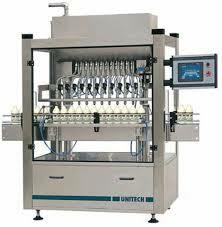 Supertech Pouch Packing Machine Manufacturers in India is popular for packaging of different type of items such as Snack, Chips, Potato Chips, Lays Chips, Rusk, Kurkure, Gutkha, Agarbatti, Namkeen, Milk, Scrubber, Balls, Polythene, Thali, Bread, Animal Shape Jelly, Flour, Pickle, Chocolate, Atta, Plastic, Foil, Noodle, Farsan, Candy, Pulse, Poha, Corn, Mehandi, Camphor, Moth Freshener, Dal, Besan, Dhaniya, Methi, Suzi, Namak, Kali Mirch, Mirchi and Pani Pouch Packing Machine in India. 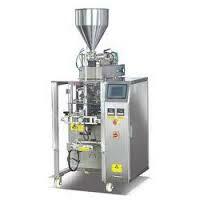 We are also supplier and manufacturer of different type of powder pouch packing machine in India such as Haldi, Coriander, Detergent, Washing Machine Powder, Milk Powder, Toner Powder, Turmeric Powder, Medicinal Powder, Masala Powder, Pharma Powder, Spice Powder, Bleaching Powder, Cumin Powder, Curry Powder, Chilli Powder, Chemical Powder, Tea Powder, Sugar, Doypack, Coffee, Mehndi, Sambar, Rasam, Sounf, Pepper, Chilly, leman, Tamarind Rice Powder, Tomato Powder, Puliogare, Amchur, Henna, Ginger, Masala Powder, Jeera Powder, Dhaniya, Tikka, Chaat Masala, Wheat Flour Powder, ORS Powder, Qeema Masala, Paya Masala, Mabab Masala and Baking Powder Packing Machines in India. 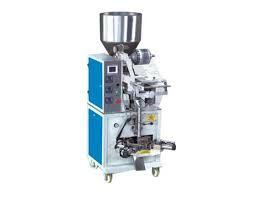 We are also manufacturer of Masala Pouch packing Machine Manufacturer in India for different products such as Chana Masala, Garam Masala, Amchur Masala, Chunky Chat Masala, Kitchen King, Chicken Masala, Panipuri Masala, Meat Masala, Biriyani Masala, Pulao Masala, Fish Curry Masala, Mirch Masala, Chilli Masala, Pav Bhaji Masala, Pakora Masala, Rajmah Masala, Dal Masala, Samhbar Masala, Kashmiri Mirch, Dal Makhanai Masala, Dahi Vada Raita, Sabji Masala, Egg Masala, Muttan Masala and Pan Masala Packing Machine. 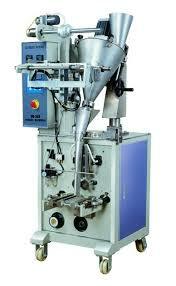 Supertech Also Manufacturer of Automatic and Manual Granules pouch packing machine in India for different products such as Tea, Sugar, Rice, Pulses, Spice, Souf, Tobacco, Food Grain, Grains, Salt, Seed, Pesticide, chemicals, coffee beans, Toffee, Tablets, Cashew, Potato, Banana, Snack, Fresh Food, Frozen Food, Dry Fruits, Pasta Pieces, Detergents, Hardware, Wheat, Nuts, Jeera and Cumin seed granules. 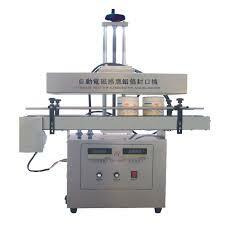 We have different type of Liquid pouch packing machine in different price. 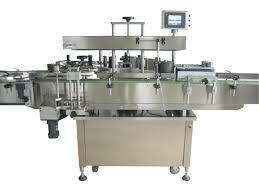 We are providing best quality of pouch packing at low cost in India. 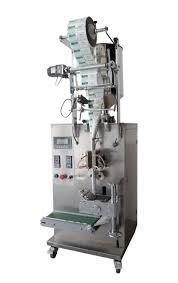 As You know we are leading liquid pouch packing machine manufacturer and suppliers for different type of packaging machines for different liquid items such as Paste, Juice, Soy Sauce, Curry Paste, Meat Sauce, Ketch Up, Chili Souce, Shampoo, Milk, Lotion, Jam, Tomato Liquid packing machine, Cream Liquid packing machine, Water Packing Machine, Chutney Packing Machine, Grease, Butter Milk, Mineral Water, Liquor, Soft Drinks, Gel, Gum, Wine, Syrup, Liquid food, Honey, Cheese, Chocolate, Butter, Fruit Juice, Jelly, Ghee, Lubricants, Lotions, Liquid Soap, Soya Milk, Lassi, Curd, Dairy Milk, Paint, Aerosol, Flavored Drinks, Beverage and Vaseline Liquid packing Machines. 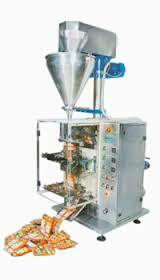 You get it find here Oil Packing Machine at low price in India. 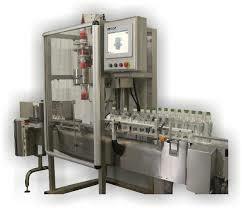 We, Supertech Packaging is manufacturer, Suppliers and Dealers of Different type of Oil Packaging Machine in India for Different type of oil such as Cooking Oil Pouch Packing Machine, Vegetable Oil Packing Machine, Essentials Oils Packing Machine, Jerry Packing Machine, Herbal Oil Packing Machine, Spice Oil Packing Machines, Ginger Oil Packing Machine, Cumin Oil, Olive Oil, Palm Oil, Fish Oil, Canola Oil, Nuts Oil, Peanuts Oil, Soybean Oil, Cotton Seed Oil, Rapeseed Oil, Sunflower Oil, Palm Oil, Ground Nut Oil, Mustard Oil, Coconut Oil, Refined Oil, Lube Oil, Hair Oil and Edible Oil Packing Machines. 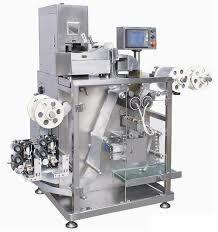 Pharmaceutical Packing Machine are highly demanding in India for different type of pharmacy products such as Tablet, Tablet Strip, Capsule, Capsule Coffee, Capsule Counting and Packing Machine, Syringe Packing Machine, Ampoule, Injection Packing Machine, Plastic Ampoule Filling and Sealing Machine, Pill Packing Machine, Pharmaceutical Powder Packing Machine and Pharmaceutical Liquid Packing Machine in India. We are also manufacturer and suppliers of automatic weighing and packing machine for different products such as Big Bag Weighing Packaging Machine, Powder Weighing and Packing Machine, Granules Weighing Packing Machine, Small Size Weighing Packaging Machine, Single Hopper Weighing and Packing Machine, Double Hopper Weighing Packing Machine, Movable Packing Machine, Four Head Liner Weighing Packing Machine, Rotary Weighing Packing Machine, Electronic Weighing Packing Machine, Vertical Weighing Packing Machine and Horizontal Weighing and Packing Machine manufacturer in India. 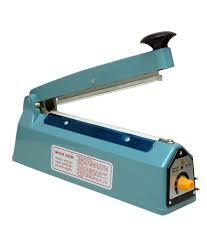 Supertech Packing is leading brand of Shrink Packing Machine in India. We are best place for your query related to Shrink Film Packing Machine, Thermal Shrink Milk Packing Machine, Cast Shrink Milk Packing Machine, Large Size Shrink Film Packing Machine, Inferred Shrink Film Packing Machine, Non Tray Shrink Film Packing Machine, Narrow Fabric Shrink Packing Machine, L Type Shrink Film Packing Machine and Automatic Counting Color Film Packing Machine in India. Supertech Packaging is manufacturer for different type of Blister packing machine for Tablet Blister packing, Capsule Blister Packing Machine, Syringe Blister Packing Machine, Pill Blister packing machine, Thermoformed Blister Packing Machine, Roller Type Blister packing Machine, Liquid Blister Packing Machine, Paper Plastic Blister Packing Machine, Aluminum Plastic Blister Packing Machine, Injection Blister packing Machine, Flat Plate Packing Machine, Cylinder Plate Blister Packing Machine, Vacuum Packing Machine and Apron Type Blister Packing Machine in India. 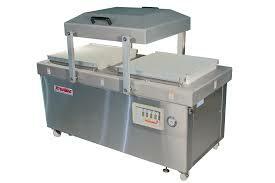 We have different type of Vacuum Packing Machine in India such as Vertical Vacuum Packing Machine, Vacuum Skin, Vacuum Wrapping, Vacuum Flatten, Big Vacuum, Air Sucking Vacuum, Thermoforming Vacuum, Continuous Vacuum, Single Chamber Vacuum, Double Chamber and Home Vacuum Packing Machine Manufacturer in India. 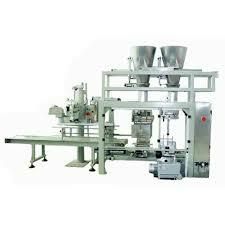 Horizontal Packing Machine are different type such as Instant Noodle Horizontal Packing Machine, Moon Cake, Snack Horizontal, Powder Horizontal, Ketchup Horizontal, Sachet Horizontal, Liquid Horizontal, Towel Horizontal, Stand Bag Horizontal, Grain Horizontal and Vegetable Horizontal Packing Machine Manufacturer in India. Supertech Packaging is manufacturer of Different type of aluminum packing and sealing machine such as Aluminum profile packing machine, Aluminum foil sealing machine, Double side Aluminum Foil Packing Machine, Induction Aluminum foil sealing machine, Electromagnetic Aluminum foil sealing machine, Manual Aluminum Foil Sealing Machine and Aluminum Can Packing Machine in India. 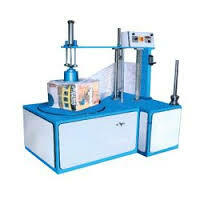 We are also manufacturer of Packing machine for different type of products such as Paper Bundle, Ream, Biscuit, Carton, Box, Corrugated Box, Dairy products, Jar, Battery, Dry Cell, Stationery, Books, File, Magazine, Envelope, Xerox Paper, Gift Articles, Greeting Card, Trophies, Toy & Games, Computer Consumable, Accessories, PCB, Electrical Component, Medical Equipments, Cosmetics, Household articles, Industrial Components, Engineering Components, Automobile Components, Textile Articles, Hardware Articles, Multi Packs, Confessionary, Surgical Cotton, Bandages, Gum Tape, Adhesive, Disposal Gloves, Cup, Napkin, Tray, Can, Tube, Impulse, Bag, Stickers, DVD, Plastic Cap, Solid, Rubber Items, Lug, Screw, Rivet and Bolt Packing Machine. Supertech Packing is also manufacturer, suppliers and dealer of Wrapping Machine, Filling Machine, Strapping Machine, Sealing Machine, Filling Machine, Capping Machine, Capping Machine, Labeling Machine, Sleeving Machine and Cartooning Machine in India.